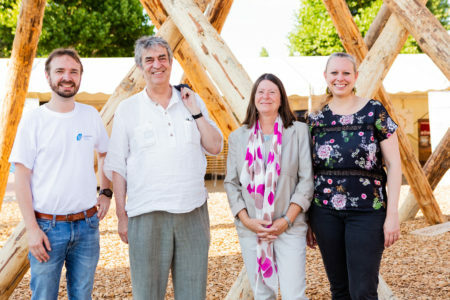 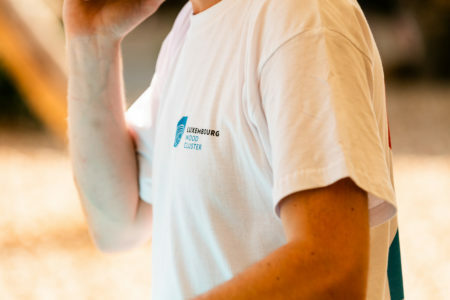 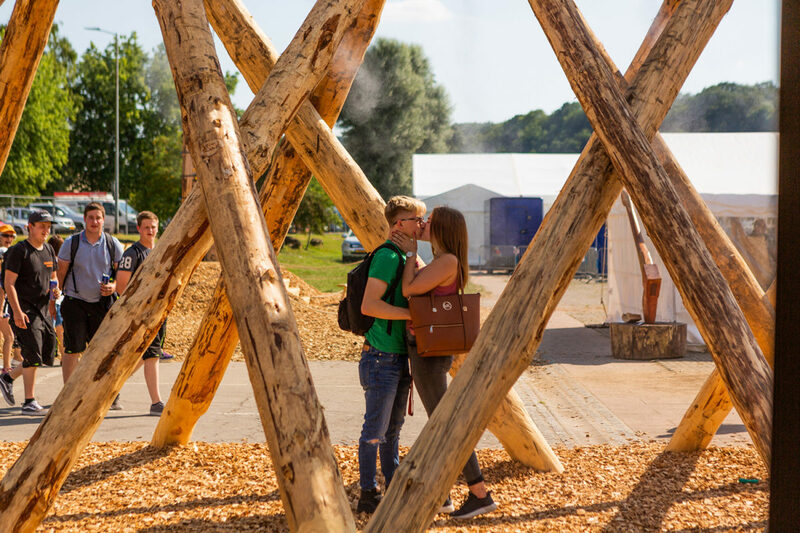 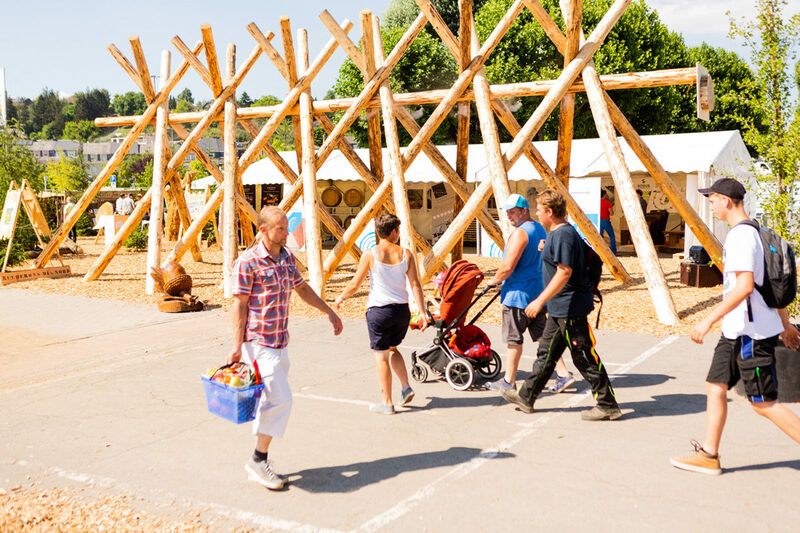 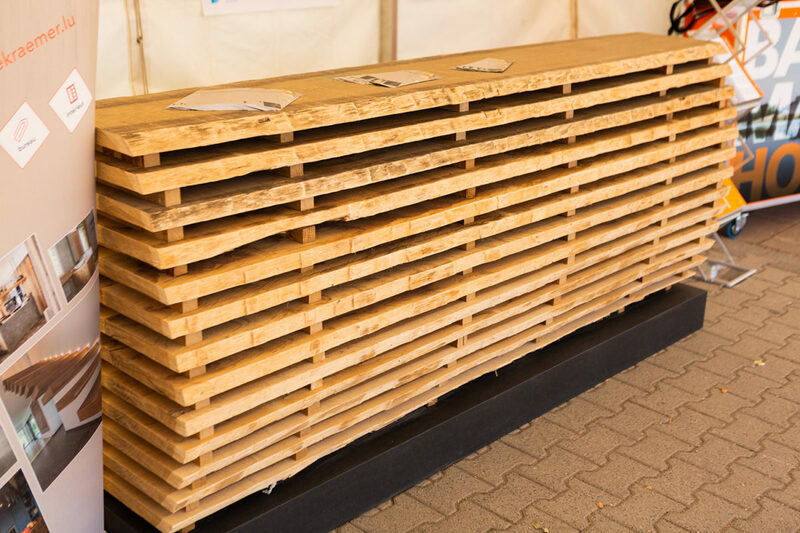 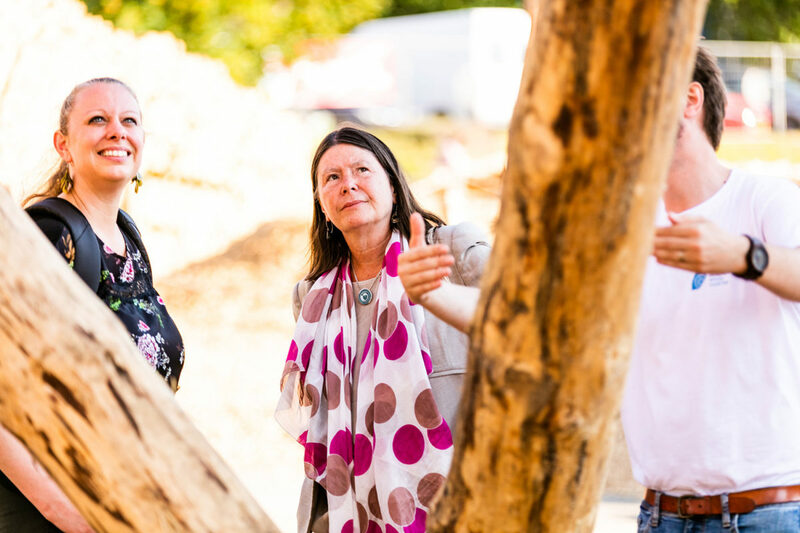 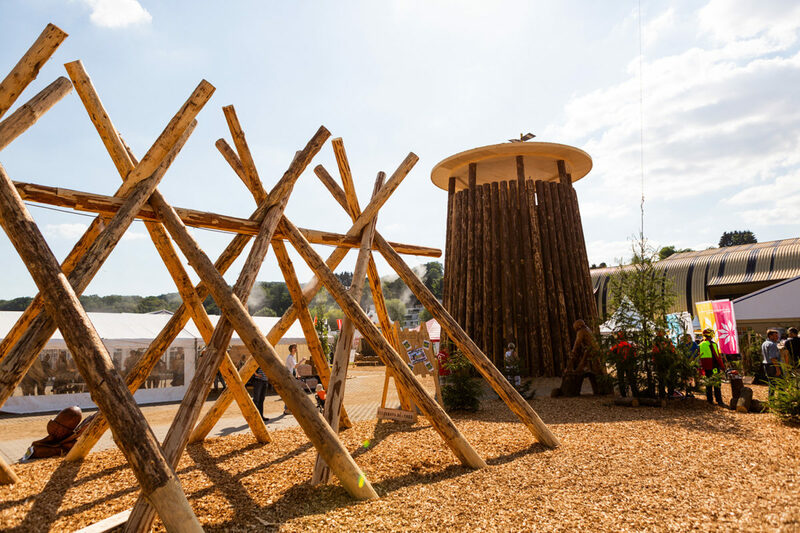 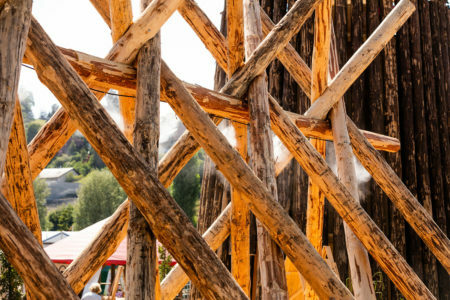 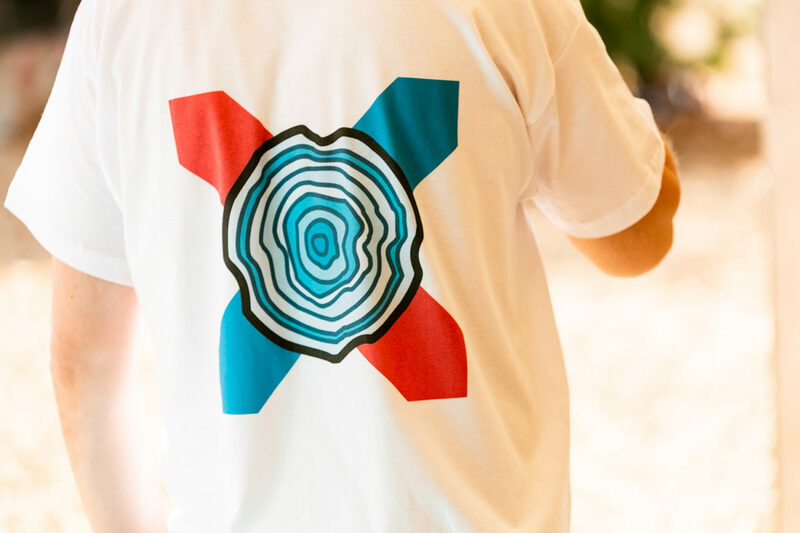 The Luxembourg Wood Cluster was present at this event, with a stand of 70 m2 together with a dozen companies who demonstrated the diversity of the wood industry and products made from local materials. 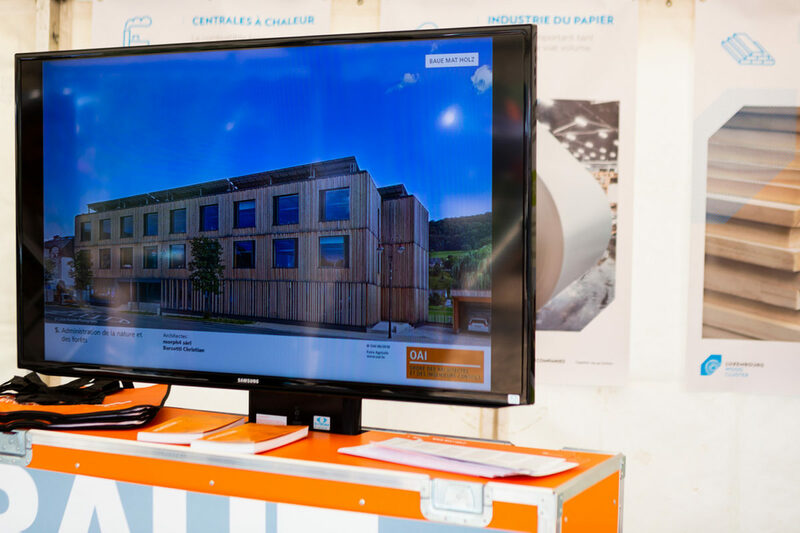 The broadcast of a film on the big screen made by the Order of Architects and Consulting Engineers (OAI) also presented 54 flagship projects in the field of wood construction, extending well-deserved visibility to engineers and architects specialised in this type of construction. 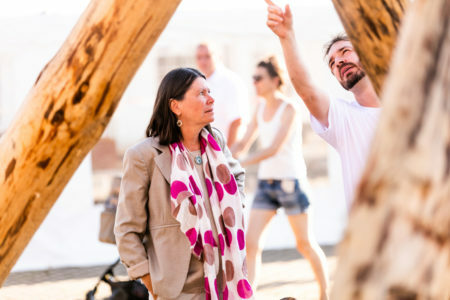 This initiative was a great success and visitors were surprised by the quality of such constructions. 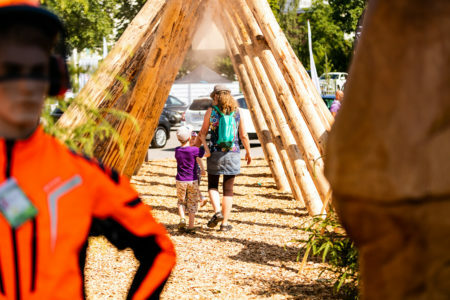 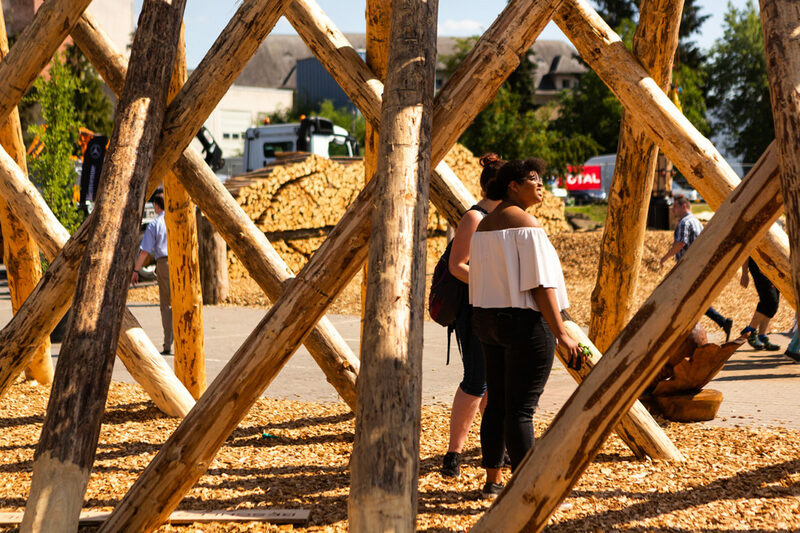 Some 2,000 visitors came to the stand and asked many questions about constructions made of wood and all the existing possibilities in this area. High-profile visitors included Environment Minister Carole Dieschbourg, new Secretary of State for Sustainable Development and Infrastructure Claude Turmes, and Rhineland-Palatinate Environment Minister Ulrike Höfken. 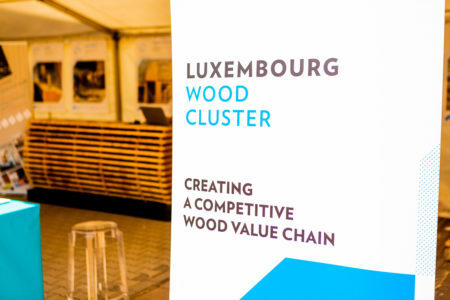 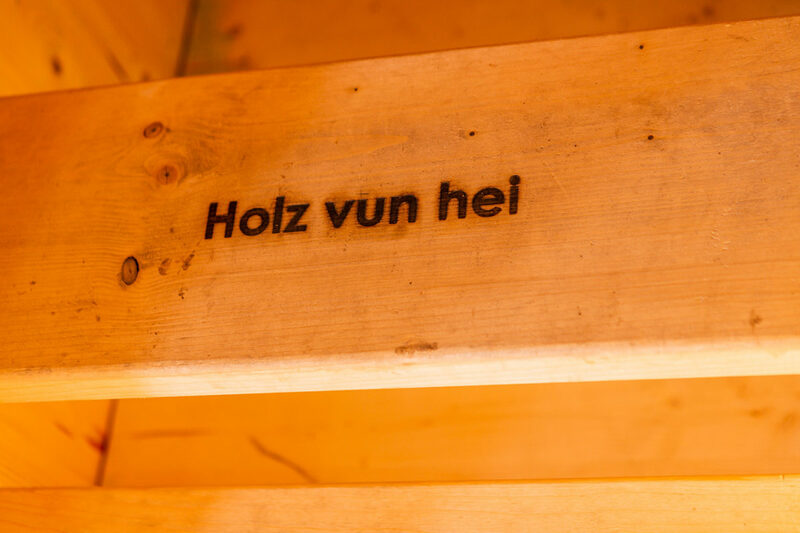 The latter did not fail to show her surprise at the large number of “wood” projects that exist in Luxembourg. 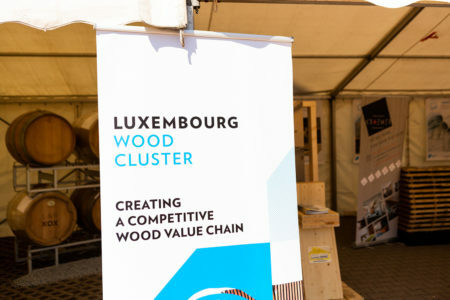 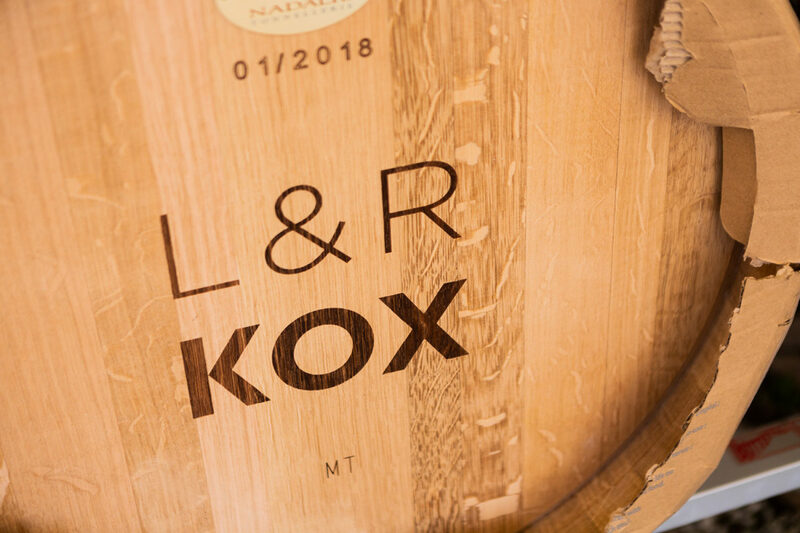 The Luxembourg oak barrels on display at the Laurent and Rita Kox cellars, as well as the massive oak bar at Kraemer joinery, were also a great success, as was the large wooden portal erected in collaboration with the University of Trier. However, visitors to the stand were also professionals active in this sector, who found on the stand a venue to exchange ideas and build relationships. 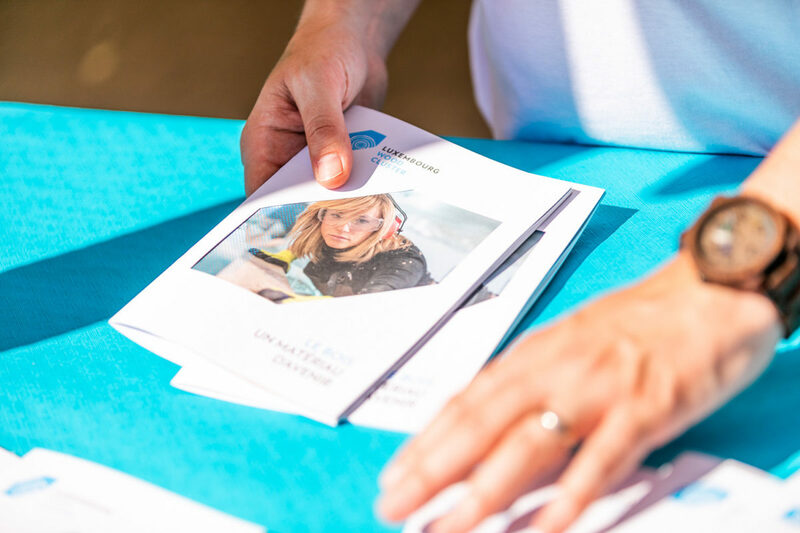 “In this sense, we have fulfilled the primary mission of the Luxembourg Wood Cluster perfectly, which is to gather skills and know-how and initiate contacts between industry professionals,” said Philippe Genot, Luxembourg Wood Cluster manager. 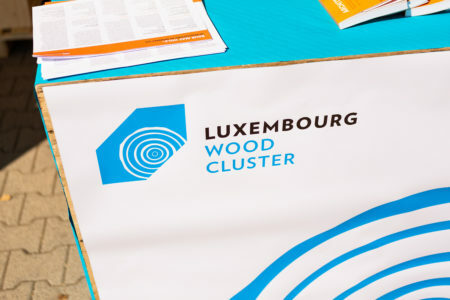 The other objective of better educating consumers about the benefits of wood was also achieved. 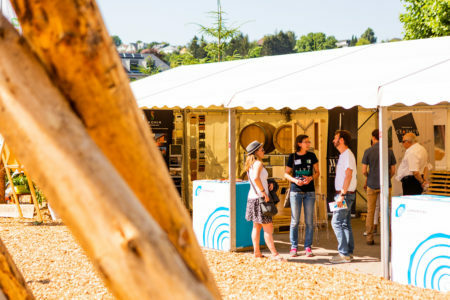 “The many discussions I had with visitors clearly show the growing interest of consumers in natural and regional products,” explained Philippe Genot.